High quality T-screw-on fitting made from high grade brass. Eye candy for any system, but not quite as cheap as the plastic connectors. 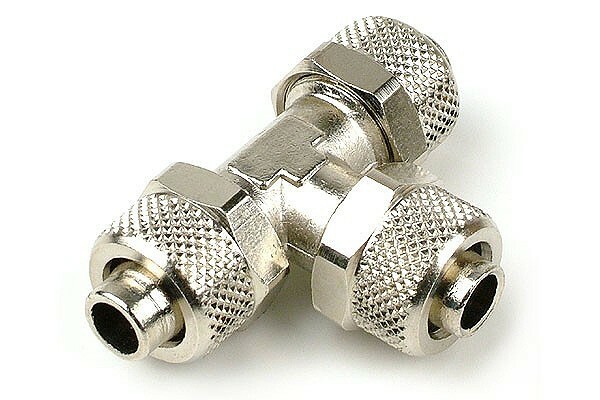 Three hose endings can be connected and fixated with the union nuts. This system ensures maximum safety and ease of installation.